Impressions of the camps. Reviews and recommendations! 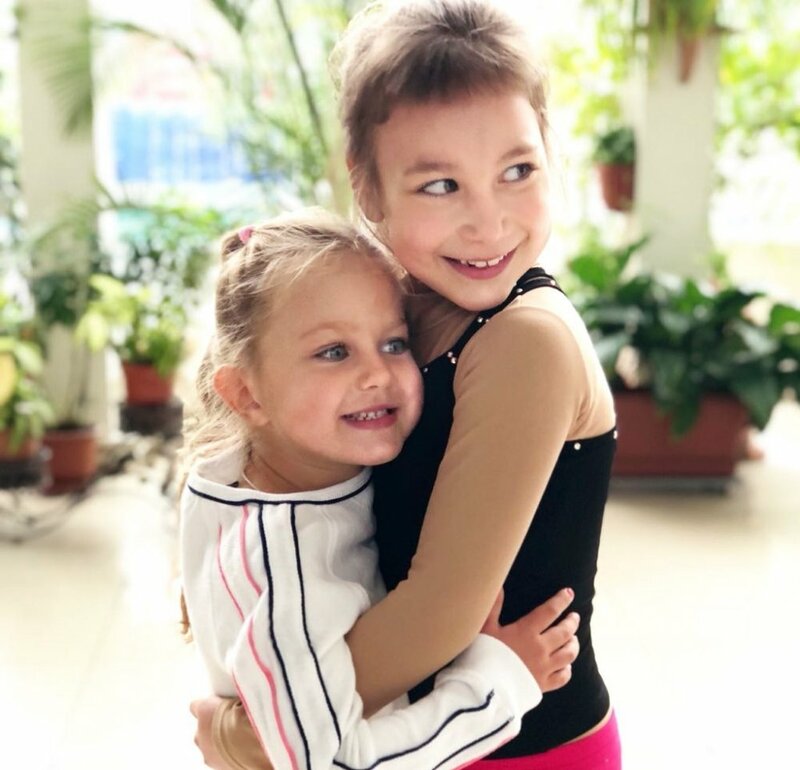 Spend the meaningful summer holidays at the figure skating summer camp for children in Latvia from June 24 to August 9, 2019. 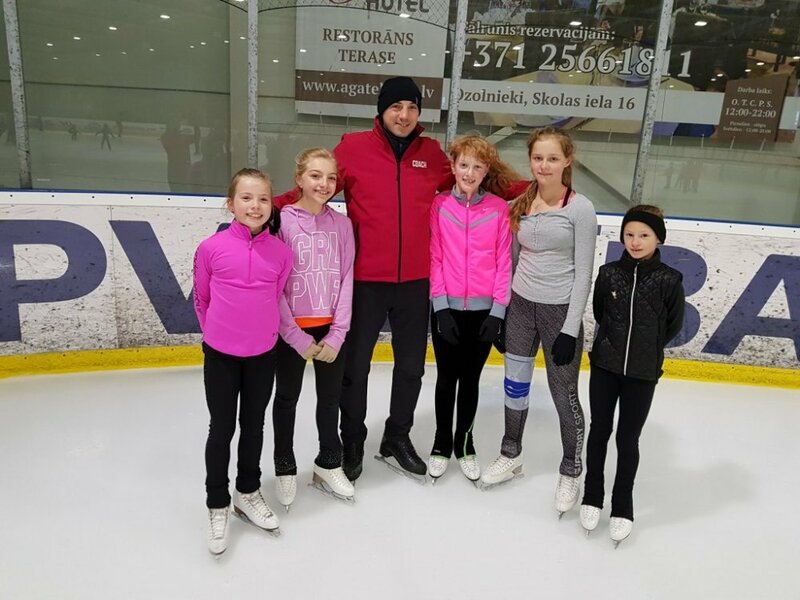 The summer figure skating camp in Ozolnieki is a great rest for parents and a good intensive of figure skating training sessions for a child. 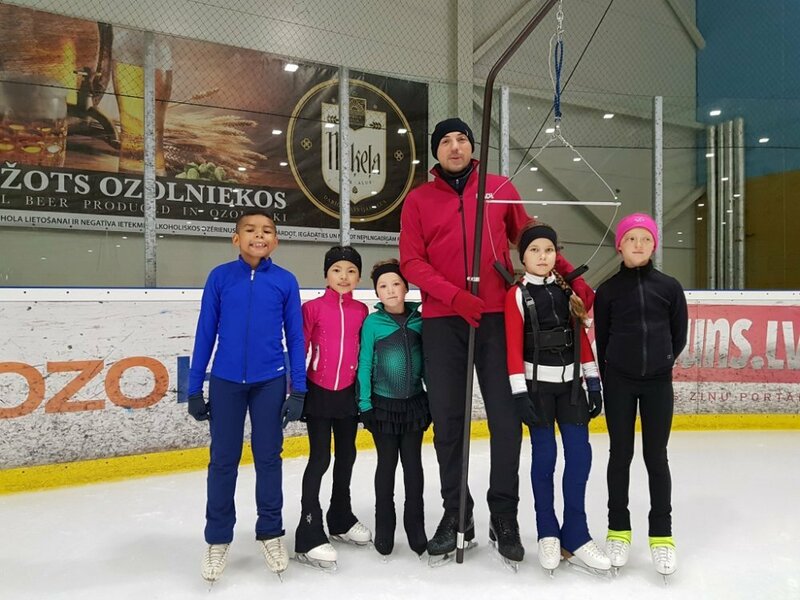 For the figure skating camp, in Latvia, we have a good climate, one of the best sports complex, professional team of coaches and lot of ice training. Individual lessons and program setting, jumping training with the skate harness and exercises on the unique vestibular simulator of the Alexei Mishin. Everything that necessary for your figure skater he gets at the figure skating summer camp in Latvia! Fill the application form - the number of places is limited. Ice Skating Spring Camp for skaters will take place at the «Lobnya» Sports Palace, Moscow region, Russia. Don't miss the opportunity to take a week-long intensive training course in the International Figure Skating school of Alexander Ryabinin. The training program includes basic training sessions and additional sessions on the ice and in the hall. Exclusive opportunity to take training course on the A.Mishin's vestibulator and learn jumps with the harness. Hurry - the number of participants is limited! 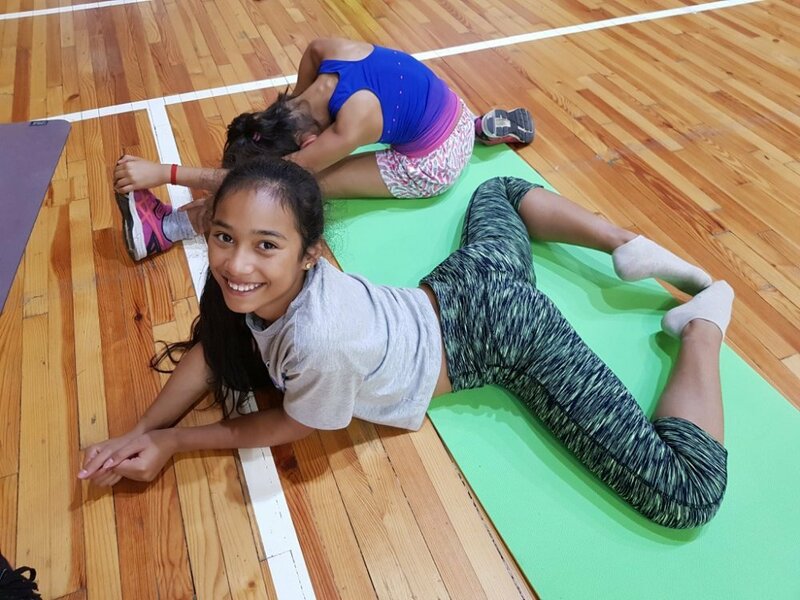 Figure skating camps in any part of the world. Our team of professional trainers from Russia and Europe will lead a closed camp for your athletes in groups and individually using the latest techniques in figure skating training. International camps under the leadership of Alexander Rybinin, a coach from St. Petersburg - professional figure skating camps for children of all ages. We are pleased to invite you to attend the International Figure Skating Camp for children of all ages! 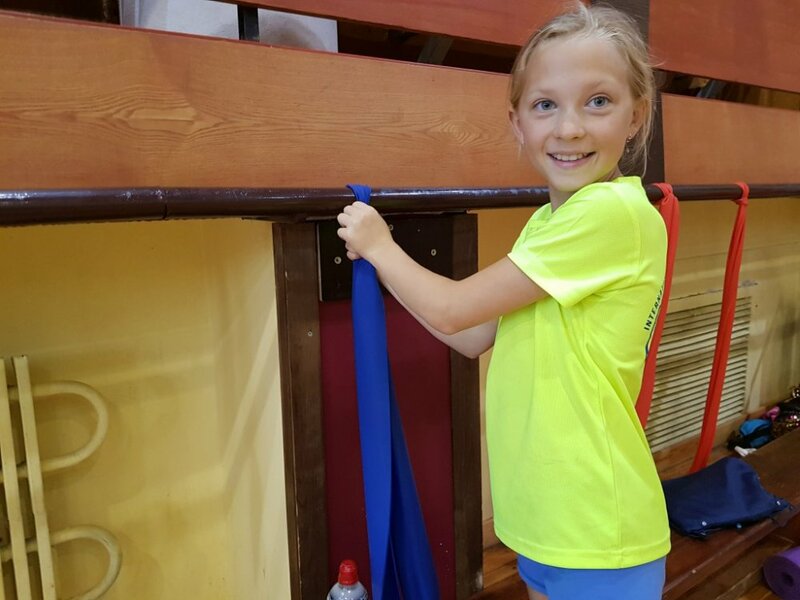 Figure skating camp for children - the unique combination of an understandable theory, balanced practice and working out techniques using unique techniques. Professional world-class coaches can easily find an individual approach to any skater. Ice skating camps are held in Latvia, Russia (Moscow) and Bulgary at the same dates as the school holidays around the world, therefore, perfectly combine with rest. Within the framework of the camp, there is a comfortable schedule – training sessions until 3 pm. 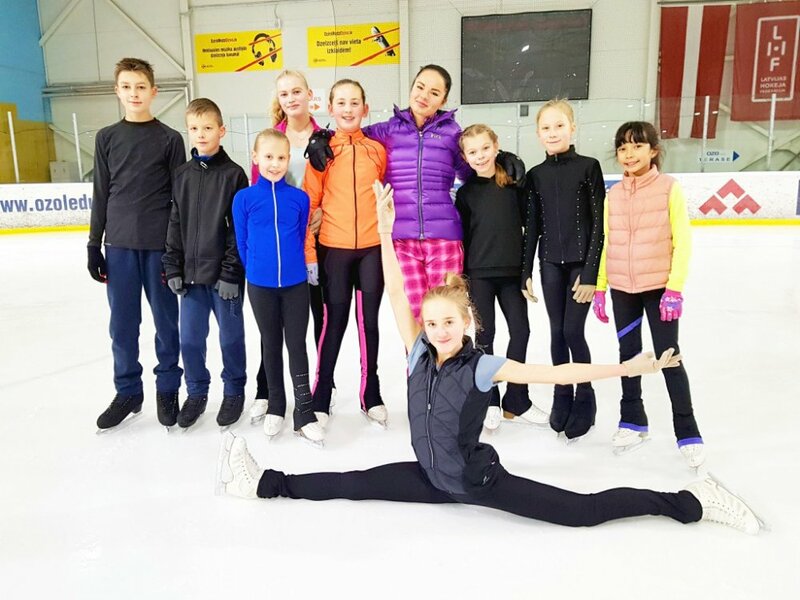 During the ice skating camp, the participants will learn new figure skating elements, will receive invaluable practice, will perform the most difficult jumps and choreography and will charge with the competitive spirit. All this – under the control of experienced coaches-organizers of figure skating camp, without injuries and with the greatest pleasure. 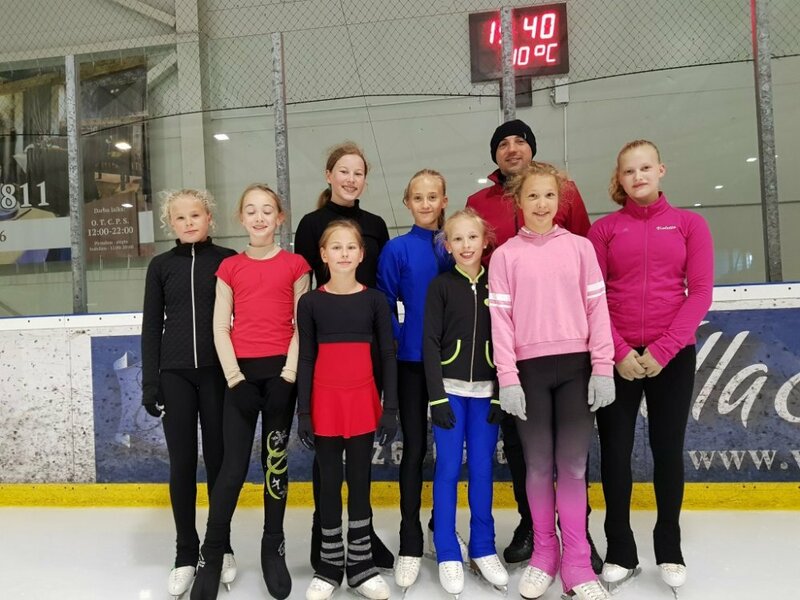 In 2018-2019 we are planning more than 15 regular professional autumn, winter, spring and summer figure skating ice camps. Ice skating winter camp – will take place from December 24 to January 12. 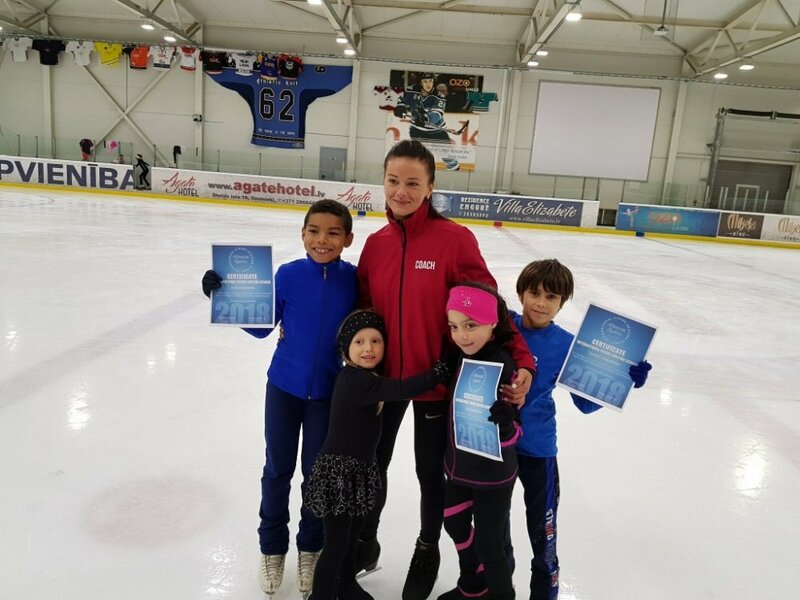 Ice skating spring camps will be held from March 25 to 30 and from April 15 to 27. By the way, figure skating spring camp will be organized also in Moscow from May 1 to 11. Ice skating summer camps are planned from May 27 to June 21 (Moscow), from June 24 to August 9 (Latvia), from August 12 to 24 (Bulgary). 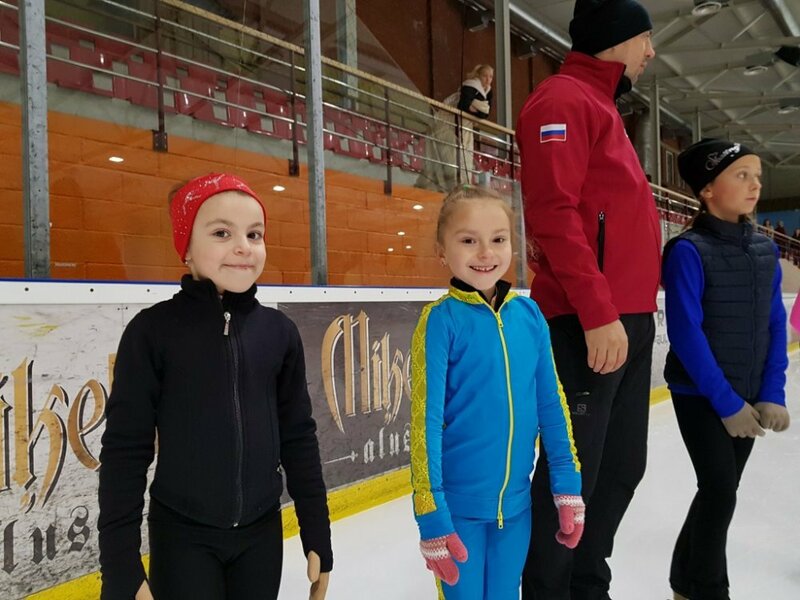 In the fall of 2019, ice skating autumn camp will take place from October 7 to 26, and winter figure skating camp – from December 23 to January 11, 2020. Each participant of the figure skating ice camps will discover their new inner talents and completely enthralled with this magical sport even more. Choreographer of modern dance. Graduated the Latvian Academy of Culture. Thank you for your efforts, for the work, for professionalism! Children improved their technique of skating, finally fell in love with the ice and wants to return! It's great that there are professionals on the ice, in the gym and in choreography! 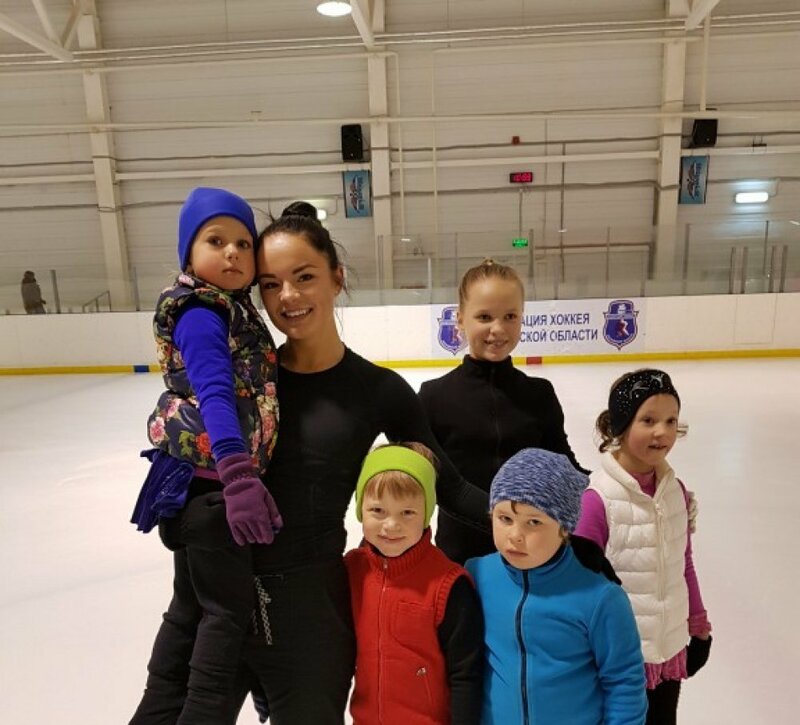 Children fell in love with choreography and off-ice training! Hope to see you soon!!! All coaches work with full dedication, paying attention to each child. Our children enjoyed practicing for several hours a day. Thanks to all the coaches! And I would also like to note the wonderful friendly atmosphere between the parents, and the opportunity to relax on the lake after a busy day, which is 3 minutes from the ice rink. We will be glad to return next year! Really good camp - I recommend! They will teach, demand, praise, support. And if necessary, compassion to a child. In the learning process, coaches find the right words to each child, from small to large. Also, there is good contact between parents and coaches. Periodically coaches give information to parents about the training process, development of the skater, what happened or why something did not work and what is needed for that. We had a very long process to jump Axel (1.5 years at least). Many coaches were involved in this learning process. At this figure skating summer camp, Alexander Ryabinin found the approach for this jump .... we did it and now we are jumping. Super! We are coming from Holand at this figure skating camp the first time. To my mind, here are so professional team of coaches and they are working with the interest. Even after a few days here, the result is noticeable. On the training sessions are requires the skaters to perform the task accurately, All of the coaches are demonstrate the elements so good. Organization of camp and schedule of training - all is well. Many thanks to all for the wonderful training sessions, I hope we will come here again soon. Thank you so much for the figure skating camp! I was pleased with the work of coaches on the ice. I would like to note the individual approach to each child, as well as close cooperation with parents. There was a friendly atmosphere at the training camp. We were satisfied !!! We wish further development to all coaches and skaters. Urrraaaa !!!!! Zlatoslava in the figure skating competition took 3rd place!!! Many thanks to the coaches!!! All double jumps were performed easily, just as it was taught at Lobnya in the Figure Skating Camp in Russia this summer!!! Sincere thanks and we bow down in respect to our teacher - Alexander! 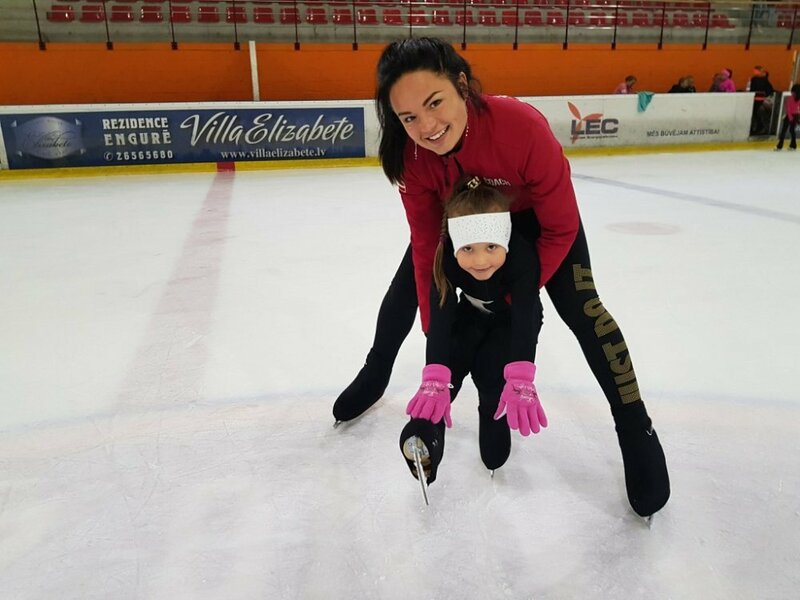 My granddaughter Alina attend this ice training camp for the 5th time. She really likes it! Each season ends with new successes and with a good physical shape. Thanks to the coaches for their work and love for children. We wish them health and success in their work. International Skating Ice Camp - is an excellent opportunity for a skater to acquire new theoretical and practical knowledge. In this camp, we were the first time. We came for 2 weeks. The training schedule is built correctly, the child had time to relax, and to eat. A great opportunity was provided on EXTRA ice. Also, it was always possible to find time for individual lessons. Vladislava liked it very much, and this is the main thing. Thanks to the whole team for the daily hard work !!! We believe that this experience will help us in the future of our sports life!!! The figure skating ice camp was so productive as always. 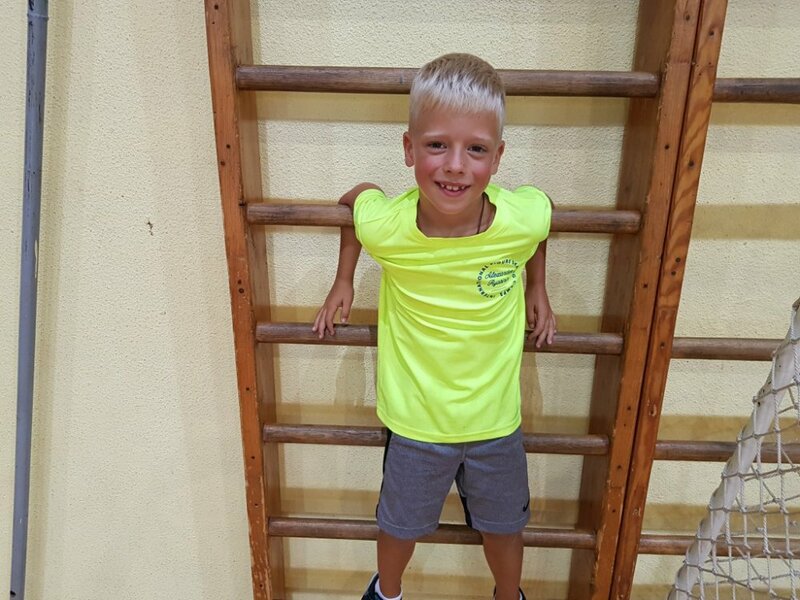 We came to the Alexander and his professional team for the 5th time and all the time we are satisfied with the organization of the camp and the results of the child. Thanks for the justified hopes. 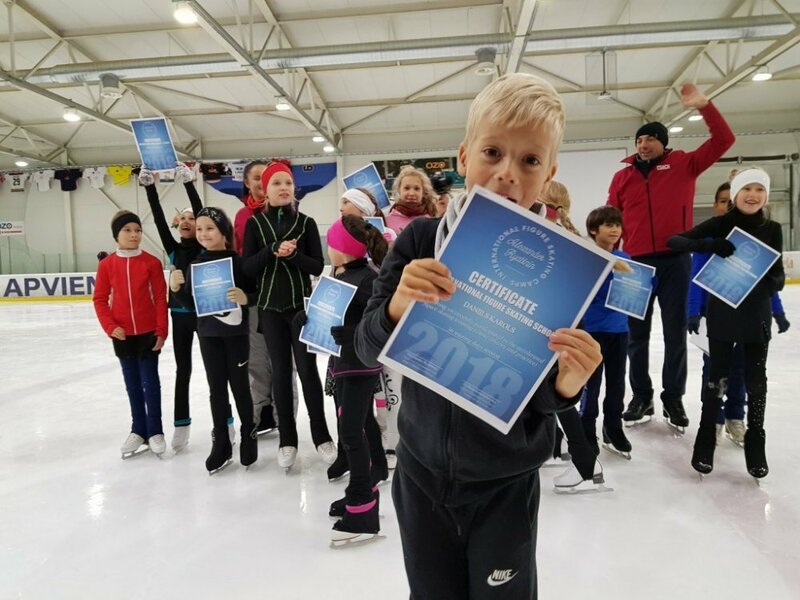 Quality rating and feedbacks of Figure Skating Camps for skaters of all ages in Latvia, Bulgaria and Moscow. 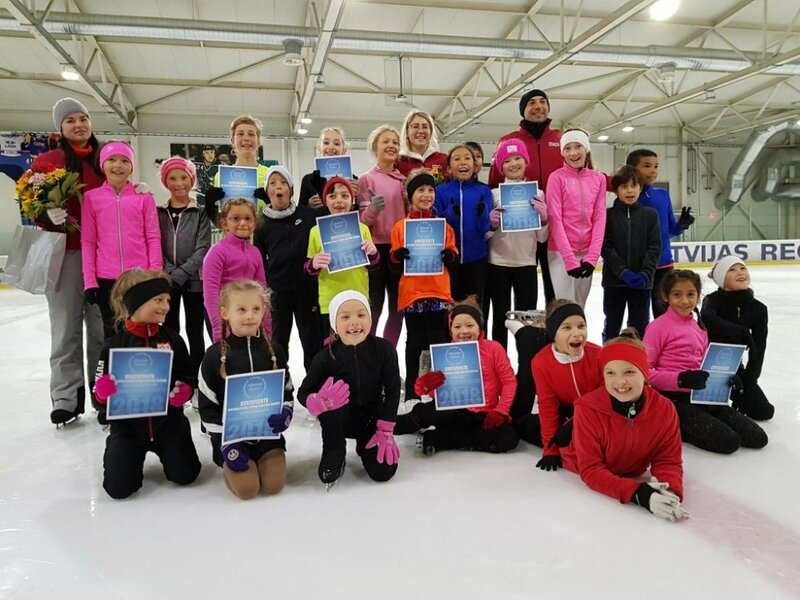 Autumn, spring, winter and summer ice skating camps for children in Latvia. Spring and summer figure skating camps in Moscow. Summer ice skating camps for skaters in Bulgaria. Figure skating - ice training with experienced coaches from Russia and Europe. A lot of extra on ice and off ice lessons for skaters. Classes at the unique Alexei Mishin's vestibular simulator, learning to jump with the harness, setting new programs, preparing for figure skating tests. Your feedback is very important to us. Here you can leave your opinion about organization and providence the ice skating camps by our team of coaches.